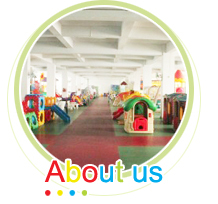 A Professional Manufacturer Of Outdoor playground,Indoor playground,Outdoor fitness equipment,Plastic toys and Kindergarten facilities. Creative toys limited as a China enterprise specializing in producing a full range of indoor &outdoor playground equipment,outdoor fitness equipment,playground slide,plastic toys etc., Catering to different segments, such as shopping malls, residential areas, kindergartens, parks, restaurants, farmhouses, kid schools, societies and other family entertainment centers. We work on the aim of providing high quality products by utilizing new technology & knowledge with dedication & innovation. Our company is concerned about the quality along with the safety. We use the most durable materials using state-of-the-art production technologies in our manufacturing processes. and constantly test for both strength and durability. We also make sure that joints of these equipment are strong & smooth, the coatings are even and fully sealed, and plastics are precision-formed without any flaws. Our regular monitoring and testing procedures ensures that our products meet the stringent quality standards. Our company follows an exacting quality control standard in our range of playground equipment. 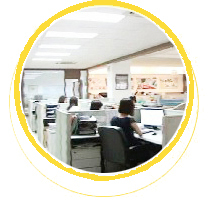 Our designer team is well experienced skilled personnel, who create & originates unique and unsurpassed designs, which reflects creativity and ingenuity. Taking into the consideration of standard safety measures and accessibility regulations of playground equipment, our design team is able to deliver quality. Moreover, our educational consultants, sales representatives and other specialists are skilled in meeting the exact need of our customers. Further, our company offers an inspiring and stimulating environment for our staff, thus enabling them to work efficiently.